The modern Zentralstadion in Leipzig, the only finals arena situated in the former East Germany, is the setting for the opening match of Group H this afternoon as group favourites Spain and Ukraine lock horns for only the third time in a competitive game. Both teams were drawn in the same qualifying group for Euro 2004 and these fixtures resulted in a 2-2 draw in Ukraine and a 2-1 triumph for Spain at home, which ensured they qualified for Portugal ahead of their Eastern European rivals. 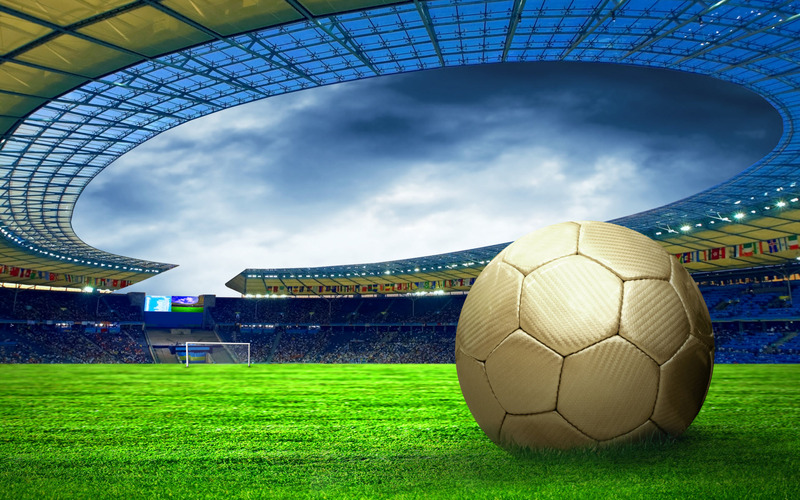 Both teams will be confident of progressing to the knockout phase from a group containing Saudi Arabia and Tunisia, and this evening’s contest will go some way towards deciding who tops the group and avoids a potential second-round clash with France. Ukraine are appearing at their first World Cup Finals, though many of their former players, including current coach Oleg Blokhin, appeared in the showcase event as part of the pre-1990 Soviet Union team. Blokhin played in two World Cups for the USSR, was named European Footballer of the Year in 1975 and, with a record 42 goals in 112 games for the USSR, he is considered to be one of the finest players Eastern Europe has ever produced. Blokhin took over as coach in September 2003 and he combines his position as Ukraine coach with his role as a Communist Party MP. Much of the focus on the Ukraine camp in the run up to this afternoon’s game has focussed on another of Eastern Europe’s finest ever players, the Ukrainian captain and striker Andrii Shevchenko. Shevchenko, who agreed a £29 million move from Milan to Chelsea in the weeks leading up to the tournament, injured his knee in what proved to be his final appearance for the Rossonieri in early May. He went some way towards proving his fitness by scoring in Ukraine’s final warm-up game against Luxembourg on June 8th, but despite his own positive declarations about his fitness it remains to be seen whether Blokhin will risk him this afternoon. A decision will be made as late as possible. Shevchenko has arguably been European football’s most consistent goalscorer over the last ten years and Ukraine fans and most neutrals are delighted that he will finally get the chance to parade his talent in a major tournament. He is Ukraine’s record marksman, and during Milan’s run to this year’s Champions League semi-finals he became the highest scorer in the history of the European Cup. It is therefore understandable that the issue regarding his fitness has become such a talking point. Blokhin, despite showing his own disappointment and his desire to see Shevchenko succeed, has rallied the other members of his squad, who performed admirably in his absence during the World Cup warm-up matches and did not concede a goal in four games. “I want Shevchenko to be the star of this World Cup,” Blokhin told the press on Monday morning. Shevchenko is desperate to play, especially as the opening game is Ukraine’s most difficult one. He is, however, happy to put himself at the mercy of his coach’s decision. “It’s difficult to know just how fit I am after only half an hour,” he revealed. 4-4-2 has been the system most regularly employed by Ukrainian teams since the country regained its independence in 1991, and Blokhin’s tactics will probably be no different. Experienced goalkeeper Oleksandr Shovkovskiy has recovered from a broken collar-bone and is a certain starter in goal. In defence, the two key players are 23 year-old sweeper Andrii Rusol, who has been linked to a move to one of Europe’s top leagues, and the experienced left-back Andrii Nesmachnyi of Dynamo Kiev, who is equally comfortable in attack and defence. One of the key men in Blokhin’s set-up is anchorman Andrii Husin, who at 33 is one of the most experienced members of the squad. His defensive role in front of the back four allows the full-backs to express themselves going forward and also allows the young, attack-minded midfielders, Ruslan Rotan and Oleh Husiev (both of Dynamo Kiev), to support the front men. Rotan in particular looks to be a player capable of performing at a higher level. His vision and dribbling skills provide the ammunition for Shevchenko and whoever is chosen to partner him up front – Serhii Rebrov (a former team-mate of Shevchenko at Dynamo Kiev in the late 1990s), Bayer Leverkusen’s Andrii Voronin or Shakhtar’s Olexiy Bielik. Rebrov has been reborn following his return to Dynamo Kiev, and his understanding with Shevchenko and his experience may result in him being pick to start. He is also capable of playing as a withdrawn striker in front of the midfield, which may be of crucial importance against a Spanish side with one of the best midfields in the world. Blokhin has attempted to relieve much of the pressure on his team ahead of their first-ever World Cup match, choosing to employ mid-games tactics to pile the pressure on the Spaniards. “Of course Spain is a favourite,” he said. It is easy to lose count of the amount of times Spain have entered a major tournament as a fancied team since their sole major championship success in the 1964 European Championships on home soil. It is just as easy to lose count of the amount of times Spain have failed to live up to these lofty expectations, despite them regularly producing a string of top-class players and the fact that their domestic league is one of the strongest and most exciting in the world. Explanations are difficult to come by, but the one most often cited has been echoed once again by the young striker, Fernando Torres, on the eve of the tournament. Many believe that Spain is still suffering from the effects of the civil war in the 1930s, the fascist regime that followed it and the fragmentation of the nation. The Spanish dressing room contains a mixture of Basques, Castilians and Catalans, and many fans hailing from these separate regions still cling to the dream of fielding their own paradoxical ‘regional national teams’. Past coaches have never managed to successfully unify players and fans, and Torres has already spoken of his fear that it may happen again. “We may have to progress, as usual, without the whole nation behind us,” he told the press on Monday. So what are the chances of Spain reversing the trend of underachievement that has plagued them for over forty years? On paper their chances look healthy, despite the debate surrounding the potential inclusion of iconic skipper Raul, who has endured and injury-plagued two seasons with Real Madrid and at present look a shadow of the player he once was. For starters, Spain have yet to lose a game under Luis Aragones, the controversial veteran coach who took over the national team after Euro 2004. The 66 year-old has coached eight clubs in the Spanish top-flight and is one of the most experienced coaches in the world. His record since taking the job has been excellent – the most impressive result being a 5-1 hammering of Slovakia in the first leg of their World Cup play-off. The coach is no stranger to controversy, however, as proven by the unfounded allegations of racism recently leveled at him. His outspoken nature and infamous volatility does mean that he will not shy away from making difficult decisions, such as the one announced yesterday to leave Raul on the substitute’s bench for the opening match. In Raul’s absence Aragones is likely to favor a 4-3-3 formation, which has been a hallmark of most of the sides he has built in his long career. The central focus of the attack will be Athletico Madrid’s Torres, one of the most lauded and talked about strikers in European football. His pace, agility and technique are much in evidence but, despite being Spain’s leading scorer in qualification, he is not renowned as being prolific. That cannot be said about David Villa, the Valencia forward who won the ‘Pichichi’ award as La Liga’s top goalscorer last season. He combines pace and aggression with a natural instinct for goals, and if he can take his chance in the opening couple of matches he could be one of the stars of the tournament. He is likely to start on the right-hand side of the attack, with Liverpool’s flashy but inconsistent Luis Garcia likely to occupy the berth on the left. Garcia has been the scorer of numerous important goals for his club since his move to England two years ago, but a tendency to be wasteful with possession will have to be eradicated if he is to keep his place in the Spain team for the duration of the Finals. Spain’s midfield is packed with ability and depth, and the list of players involved is arguably the best group in the whole competition. The likely starters today are the intelligent and elegant Xabi Alonso, also of Liverpool, Barcelona’s Xavi (who has recently returned from a long-term knee injury) and the naturalised Brazilian, Marcos Senna of Villareal. All three are capable of dictating the tempo of any game, have an excellent range of passing and are shooting threats from distance and set-pieces. 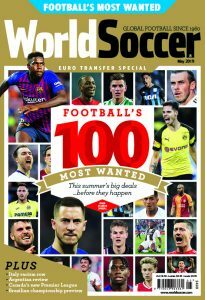 Top class reserves include Arsenal’s 18 year-old revelation Cesc Fabregas, Valencia’s David Albelda and Barcelona’s Andres Iniesta, all of whom should feature at some point over the next few weeks. Iker Casillas remains the number one goalkeeper after a superb season for Real Madrid, where he was the most consistent player for the beleaguered Spanish giants. An injury to Chelsea’s Asier Del Horno means that the exciting but inexperienced Mariano Pernia is likely to start at left-back. Sergio Ramos, Carles Puyol and Pablo will complete the back four, with Puyol likely to take the captain’s armband in Raul’s absence. Aragones has called on his squad to shake off their tag of under-achievers and finally deliver at the World Cup, but is also wary of the threat posed by Ukraine. “Historically, we have not performed well at the World Cup,” he said on Tuesday afternoon. Alonso agrees with his manager’s claim that Spain must finally deliver, and is optimistic that this could be their year. “We have had some great teams in the past but they have lacked a little luck or something has been missing,” he said.